Scott Pruitt’s resignation from the Environmental Protection Agency (EPA) last week is unquestionably a win for our health and environment. Ethical pitfalls aside, Pruitt pursued an agenda that explicitly favored polluting industries over environmental protections, undermining the core mission of the EPA. However, even with Pruitt’s departure, there are no halcyon days to come. 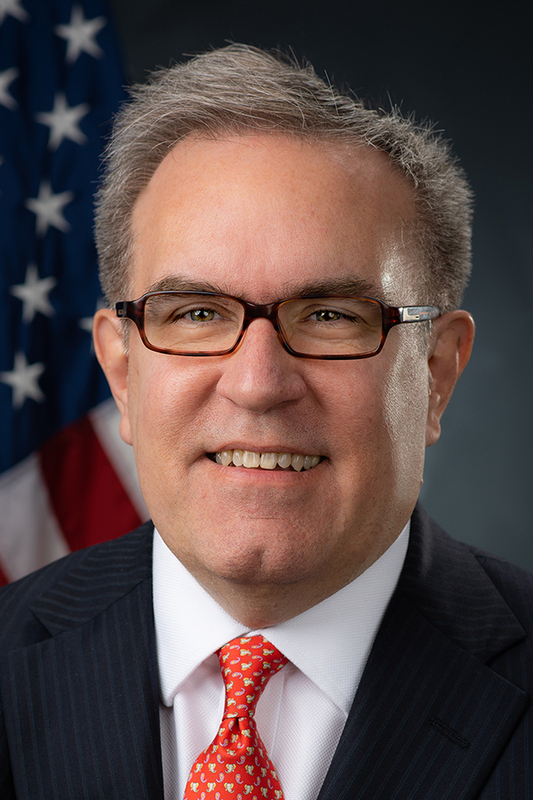 Let’s take a look at his potential replacement, Pruitt’s deputy administrator of the EPA and current acting administrator, Andrew Wheeler. Wheeler is a longtime Washington insider. He worked for four years at the EPA’s Office of Pollution Prevention and Toxics before spending 14 years under Senator Jim Inhofe, who infamously brought a snowball to the Senate floor as proof against climate change. Before being nominated for the deputy administrator position, Wheeler served as a lobbyist for various polluting industry interests. Wheeler’s agenda will likely be a carbon copy of Pruitt’s. Whereas Pruitt was a former Oklahoma attorney general whose pre-Trump administration interactions with Washington had been largely adversarial and litigious, Wheeler’s skills as a DC insider may be less contentious. Pruitt’s aggressive, combative style sometimes prevented effective policy rollouts. For example, attempted changes to biofuel standards in gasoline ran into roadblocks even from conservative lawmakers like Senator Charles Grassley, who, according to the New York Times, threatened to call for Pruitt’s resignation. Unfortunately, Wheeler may be able to avoid such hiccups in policy implementation. During his time in Washington, he has gained a reputation as someone able to strike compromises and cross the aisle when necessary. Wheeler attracted support in his nomination hearings from three moderate Democratic lawmakers and Maine’s Republican Senator Susan Collins, and was confirmed 53-45 in the Senate. This veneer of bipartisanship is not cause for optimism for environmentally minded citizens, though. Wheeler expressed ambivalence in those same confirmation hearings about humankind’s role in climate change, saying that “man has an impact on the climate, but it’s not completely understood what that impact is.” And, where Pruitt was simply suspected of having too-close ties to industry, there is a well-documented paper trail of Wheeler’s relationship with the EPA’s historical combatants—until his nomination for EPA deputy, Wheeler was a paid lobbyist for Murray Energy, one of the country’s largest coal companies. All this points to Wheeler being a more effective iteration of Pruitt, unhindered by the ethical scandals and higher political ambitions that forced Pruitt’s resignation. This is downright terrifying for any American citizen who wants clean air, clean water, and accountability for polluters. The new acting head of the EPA will not use his position of administrative power to protect the environment, but will instead weaken protections for our health and environment to benefit the polluting industries that employed him less than a year ago. Wheeler’s presence at the top of the EPA is even more concerning when taken in context of the larger political and legal atmosphere swirling around the agency. If Brett Kavanaugh is confirmed as Justice Kennedy’s replacement, the strong conservative majority on the Supreme Court could endanger the legal undergirding of the EPA’s regulatory power, including the Chevron doctrine. For nearly 35 years, the Chevron doctrine has directed courts to defer to reasonable agency interpretations of ambiguous statutory language, with the assumption that administrative experts are better equipped to make policy than judges. Kavanaugh has indicated that he sees this as an overly broad precedent that shifts too much power away from courts into the hands of government administrators. Kavanaugh’s record on the US Court of Appeals for the DC Circuit suggests a strong animus towards the EPA in particular, with frequent decisions in favor of polluting entities to the detriment of the public. In communications advocating for support of Kavanaugh’s nomination, the Trump Administration has emphasized Kavanaugh’s pro-polluting industry bona fides, as well as his written opposition to certain environmental protections. Wheeler’s assumed continuation of the Pruitt-era anti-regulatory agenda threatens the health of the United States’ citizens and environment for the near future. The strength and longevity of a conservative majority on the Supreme Court could extend this threat for decades. That is why it is so important to have a truly fresh start at the top of the EPA, not another deregulatory ideologue.